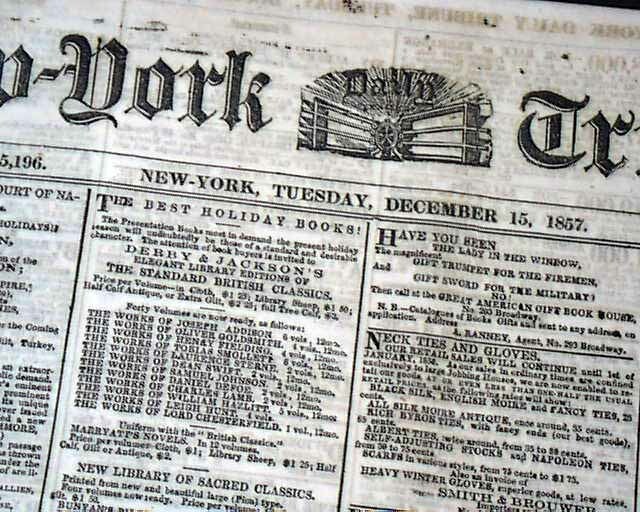 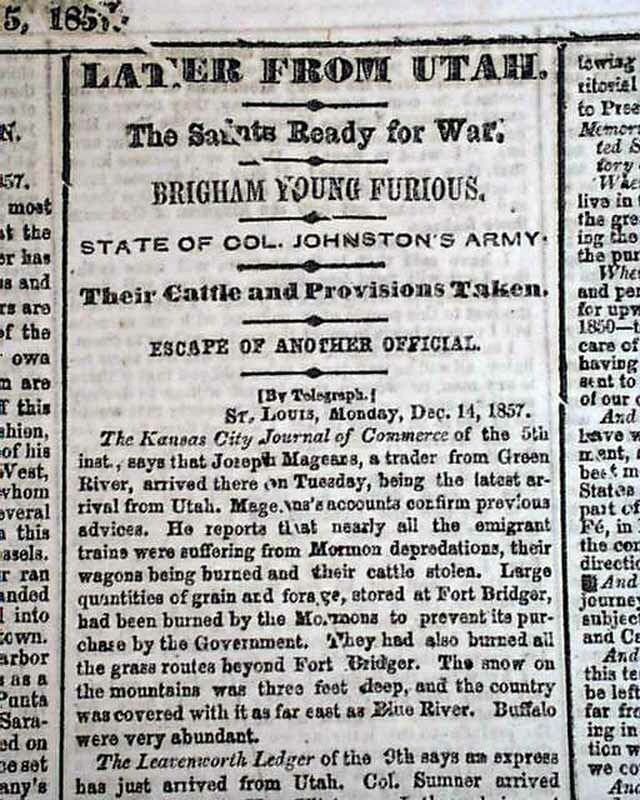 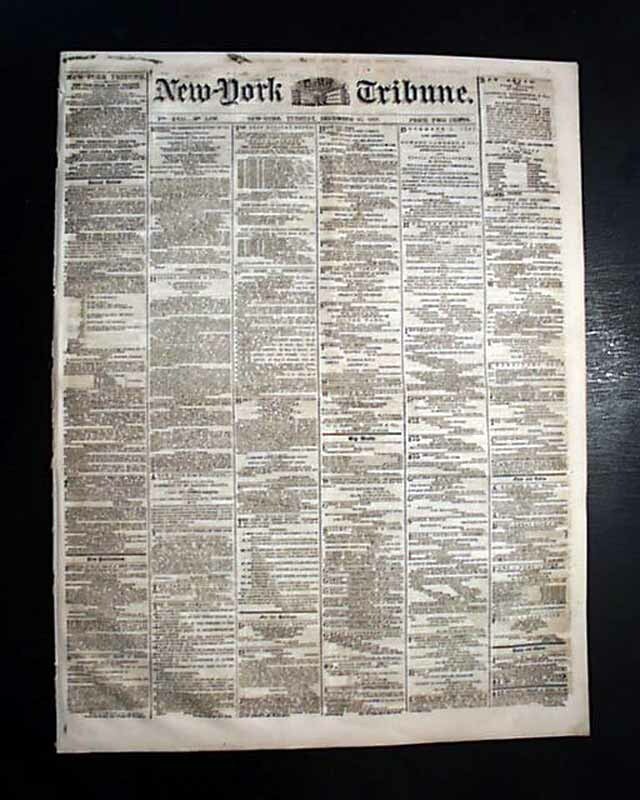 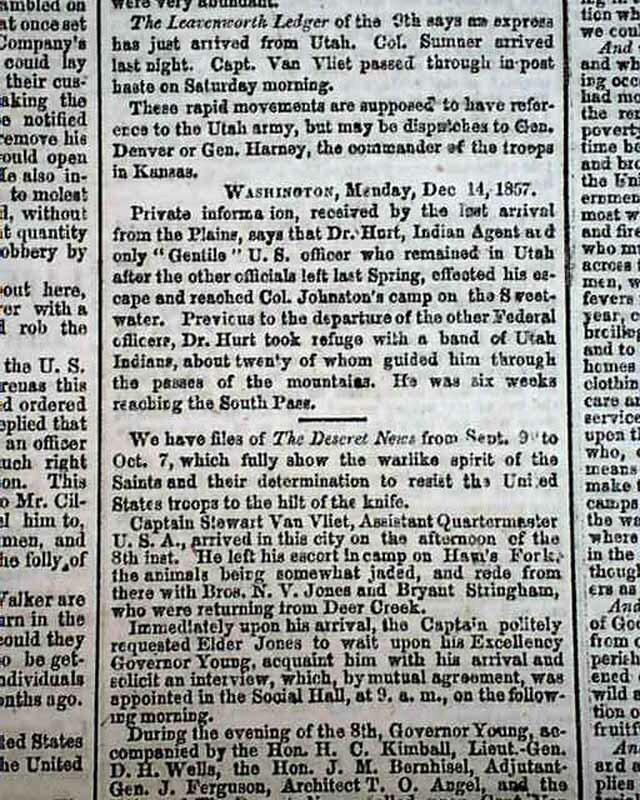 NEW YORK TRIBUNE, Dec. 15, 1857 The top of page 5 has: "LATER FROM UTAH" "The Saints Ready for War" "Brigham Young Furious" "State of Col. Johnston's Army" with more. 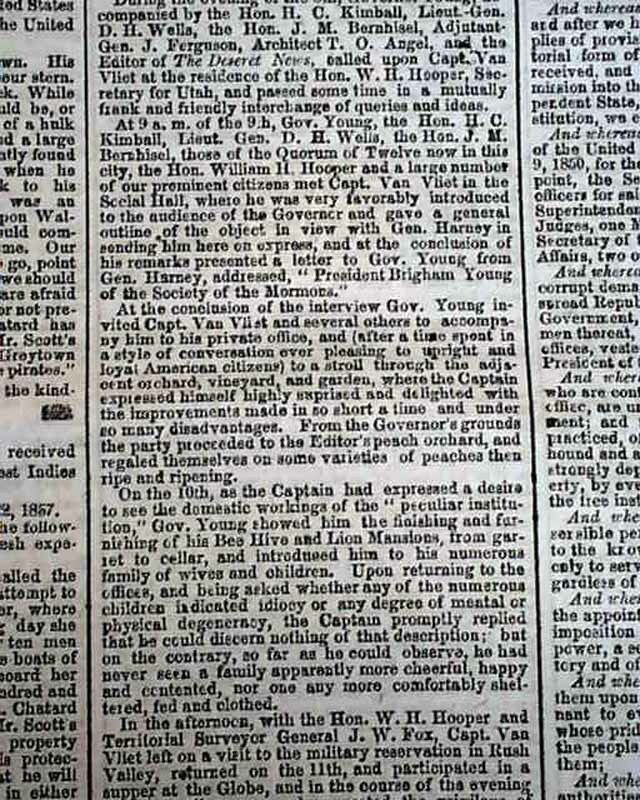 This article takes an entire column & is followed by: "Memorial & Resolutions of the Mormon Legislature" which takes 2 1/2 columns carrying over to pg. 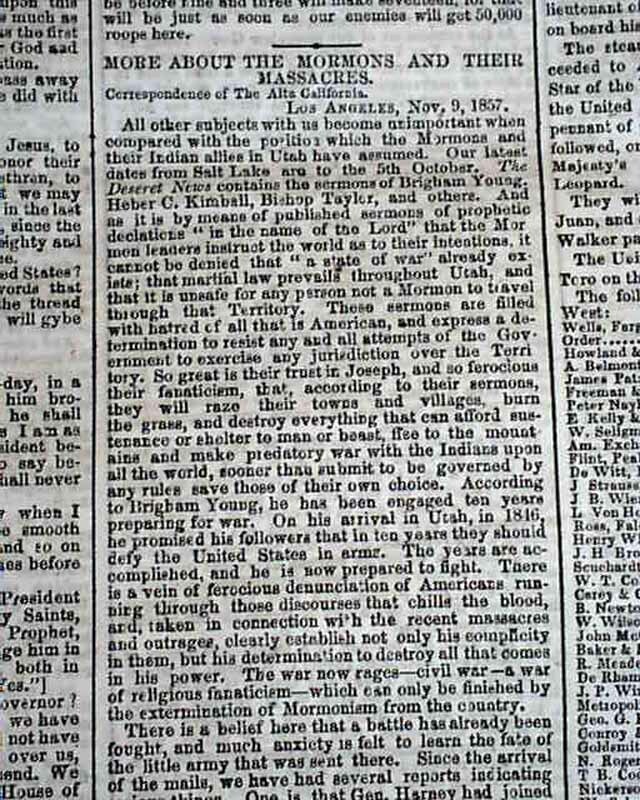 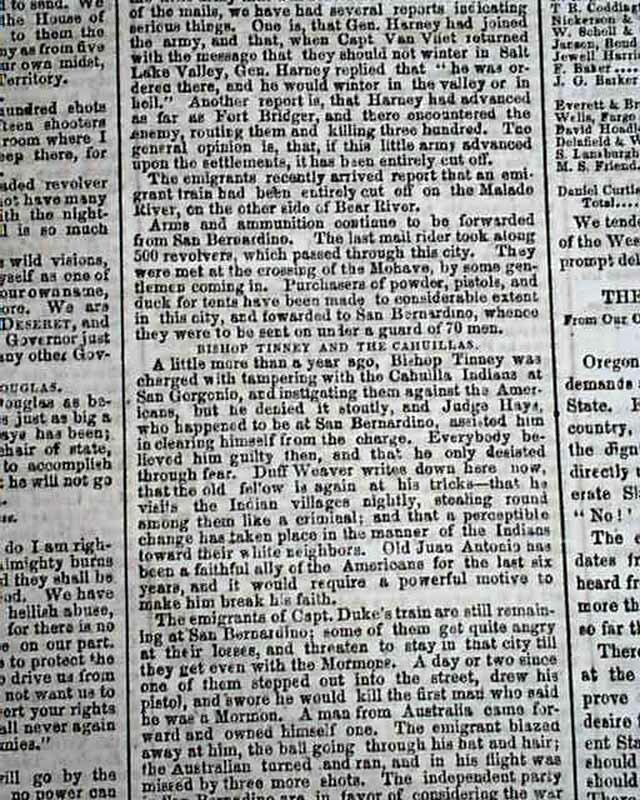 6, where is found yet another article: "More About The Mormons & Their Massacres" taking 3/4 of a column.